NASHVILLE – October 16, 2018 – CMT today revealed an all-star tribute to country legend and 2018 “Artist of a Lifetime” Award recipient, Loretta Lynn, featuring Sheryl Crow, Dierks Bentley and Martina McBride. The trio will perform LIVE from Nashville at the 9th annual “2018 CMT Artists of the Year” special on Wednesday, October 17 at 8:00pm ET/PT. Some of music’s biggest stars are set to present at the event, including Sheryl Crow, Keith Urban, Smokey Robinson, singer-songwriter Elle King, Hillary Scott, Jimi Westbrook, Phillip Sweet, Charles Kelley and Dave Haywood, along with a special introduction by platinum-selling artist, Trisha Yearwood. They all join previously announced presenter Sissy Spacek. For the first-time ever the annual “CMT Artists of the Year” special is dedicated to the women of country music – past, present and future. This year’s all-female “Artists of the Year” are Carrie Underwood, Miranda Lambert, Kelsea Ballerini, Maren Morris, Little Big Town’s Karen Fairchild and Kimberly Schlapman and Lady Antebellum’s Hillary Scott. The coveted “Artist of a Lifetime” award presented by Ram Trucks will be given to icon Loretta Lynn. To continue this year’s celebration of women, CMT last week added seven female-powered powerhouse performances to the “2018 CMT Artists of the Year” lineup: Carrie Underwood with CMT Next Women of Country and tour mates Maddie & Tae and Runaway June; Miranda Lambert and Pistol Annies; Kelsea Ballerini with Alison Krauss; Karen Fairchild and Kimberly Schlapman with soul legend Gladys Knight; and Hillary Scott with singer-songwriter Tori Kelly and Grammy-award winning gospel artist Kirk Franklin. In addition, honoree Maren Morris will join forces with Brandi Carlile for a powerful tribute to late icon Aretha Franklin. 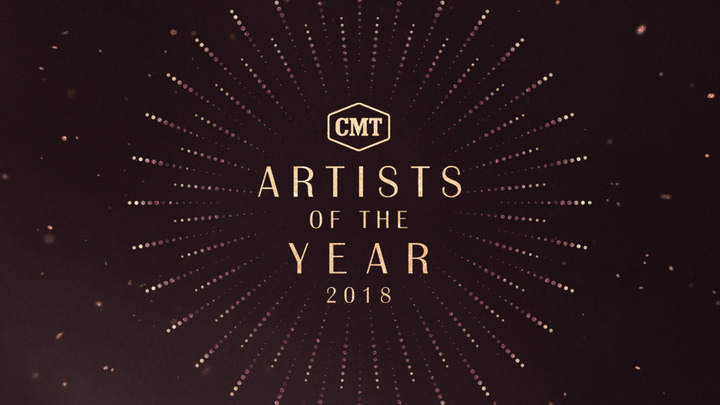 In addition to the “2018 CMT Artists of the Year” live special, CMT will further its commitment to female artists through a day-long “Women of Country Music” takeover across all CMT platforms where music lives including music hours on CMT, the 24/7 digital channel CMT Music and CMT Radio’s widely-syndicated shows “CMT Radio LIVE” and “CMT After Midnite” to encourage and inspire increased female airplay on October 17. A staunch advocate for country music’s female artists, CMT launched its dedicated “Next Women of Country” campaign in 2013 as a way to give female artists voice and airplay across all CMT platforms. The franchise has received critical acclaim, and in five years since launch CMT has expanded to include tours, digital programming and more. Ballerini and Morris are both alumnae of the “Next Women” franchise. Last year’s special notched its highest ratings to date and ranked as the most watched in the event’s eight-year history. More than 1.1 million fans tuned in to the premiere telecast and the encore. Socially, #CMTAOTY trended nationally on Twitter during the show and the special ranked as the #1 Most Social Entertainment Program in Primetime on Cable. Previous “CMT Artists of the Year” performances have included Adele and Darius Rucker performing Lady Antebellum’s “Need You Now;” Meghan Trainor, Jill Scott and Kelsea Ballerini honoring Shania Twain with a medley of her biggest hits; Jason Aldean, Keith Urban and Chris Stapleton in a moving Tom Petty tribute with “I Won’t Back Down;” Adam Lambert and Leona Lewis paying tribute to Little Big Town’s “Girl Crush;” and Maroon 5 covering Taylor Swift’s “Mine.” The show has featured appearances by Ellen DeGeneres, Matthew McConaughey, Selena Gomez, Billy Bob Thornton, Roger Clemens, Morgan Freeman, the cast of Nashville and more. CMT is the leading authority on country music and lifestyle, offering a mix of original series, music events and specials. CMT is everywhere its fans are including two cable channels (CMT and the 24-hour music channel, CMT Music), radio (CMT Radio), digital (CMT App, CMT.com) and social (CMT on Facebook, CMT on Instagram and CMT on Twitter). CMT is a unit of Viacom Inc. (NASDAQ: VIA, VIAB). For more information, please visit CMT Press.